Top 10 Photos: Europa League, 22 Nov 2012 – Gazza Makes Emotional Lazio Return And Joe Cole Scores A Bloody Goal! 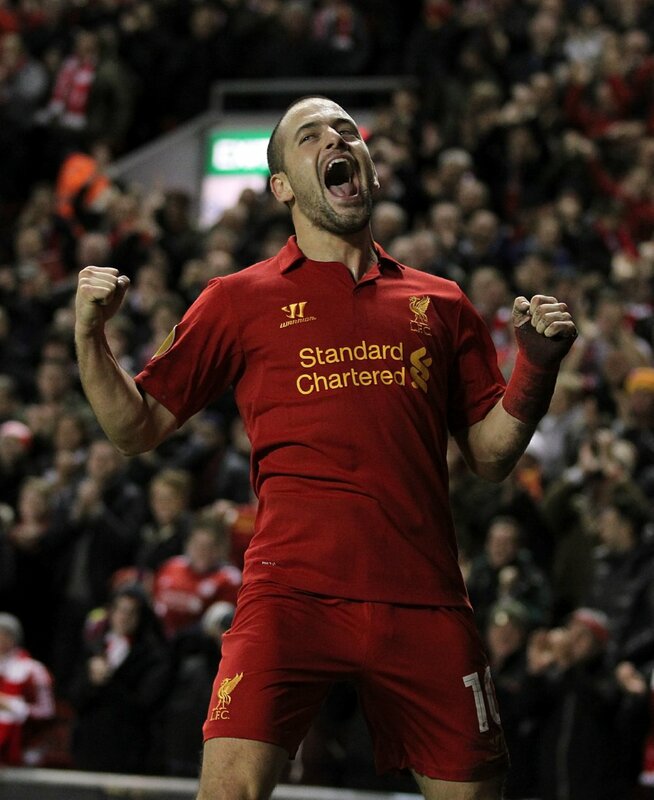 Joe Cole celebrates after scoring his first Liverpool goal since April 2011 against Young Boys. Liverpool were eventually pegged back to 2-2 in the last minute. He looked good last night, our Joe. He was fast and only had a few mess-ups. It must be nice to finally have a good game for LFC, having signed two and a half years ago.